Manuscripts, or the essence of their content, must be previously unpublished and should not be under simultaneous consideration by another Journal. The authors should also declare if any similar work has been submitted to or published by another Journal. By virtue of the submitted manuscript, the corresponding author acknowledges that all the co-authors have approved the final version of the manuscript. The corresponding author should provide all co-authors with information regarding the manuscript and obtain their approval before submitting any revisions. Manuscripts are only accepted for publication on the understanding that the authors will permit editorial amendments, though proofs will always be submitted to the corresponding author before being sent finally to press. Prior to the initial submission of a new manuscript, please carefully consider that all authors’ names are included as no change to authors’ details will be permitted after the acceptance. Manuscripts will be considered for publication in the form of original articles, case report, short communications, letter to editor and review articles. The work should be original or a thorough by an authoritative person in a pertinent field. CJMB follows AMA style (American Medical Association Manual of Style,10th Edition) from January 2014. 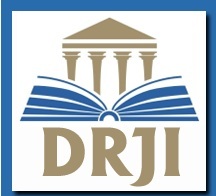 Manuscripts should be prepared in accordance with the “Uniform Requirements for Manuscripts Submission to Biomedical Journals” proclaimed by the International Committee of Medical Journal Editors ( http://www.icmje.org/). b - The requirements for authorship have been met for all the authors, based on the criteria stated by ICMJE. c - Approval of all the authors regarding the order of authorship. d - Each author confirms that the manuscript represents honest work. e -The name, address, and telephone number of the corresponding author who is responsible for communicating with other authors about revisions and final approval. f - The letter should give any additional information that may be helpful to the editor, such as the type or format of the article. If the manuscript has been submitted previously to another journal or in another language, it is helpful to include the previous editor’s and reviewers’ comments with the submitted manuscript, along with the authors’ responses to those comments. Submitting previous evaluatory review of another journal accelerates the review process. g - For accepted manuscripts, the authors are requested to fill and sign the journal’s cover letter to express their consent for its publication. h - To reproduce published material, to use illustrations or tables or report information about identifiable people, the author should submit a copy of the permission with the manuscript to the journal. Authors should provide an approval letter from the relevant Ethics Committee or Institution’s Review Board regarding the research protocol and the rights of the subjects (if applicable to the study). Attach a copy of the consent form to the letter, if applicable. Consent forms would be evaluated by the Ethics Committee and then signed by the participant. 5. Manuscripts submitted in English, must be typewritten, double-spaced, on good quality A4 paper, or paper of similar format. Original drawings of photos, tables and figures should be furnished together with the manuscripts. 6 . Manuscripts should be kept to a minimum length and should be subdivided into labeled sections (Title page, Abstract, Keywords, Introduction, Materials and Methods, Results, Discussion, Conclusion, Acknowledgement, and References). 7 . A title page is to be provided and should include the title of the article, authors’ names with full name (with degrees), authors’ affiliations, and corresponding author. The affiliation should comprise the department, institution (usually university or company), city and state (or nation). For office purposes, the title page should include the name and complete mailing address, telephone and fax number, and email of the one author designated to review proofs. 8 . An abstract (up to 250 words) is required for every manuscript. Abstract should be structured as objective(s) (including purpose setting), Materials and Methods, Results, and Conclusion. 9 . A list of 3-8 keywords, chosen from the Medical Subject Headings (MeSH) list http://www.nlm.nih.gov/mesh/MBrowser.html , is required directly below the abstract. Keywords should express the precise content of the manuscript, as they are used for indexing purposes. Tables should be self- explanatory, clearly arranged, and supplemental to the text. Tables should be created left to right and cell-based (i.e., prepared in Word with the Tables tool). Table number and caption always appear above the table. Tables should be prepared with real rows and columns and not aligned with tabs, returns, or spaces. We don’t accept tables including text boxes or tables within tables. It should be noted that tables must be cited innumerical order upon their first mention. All figures mustbe cited within the main text in numerical order. Figure number and caption always appear below the figure. All images must be of high quality (resolutions of at least 300 dpi for color figures, 600 dpi for greyscales and 1200 dpi for line arts). Histograms should be prepared in a simple, two-dimensional format, with no background grid. Any specific patient/hospital details used in figures should be blacked out. Photographs of patients in case reports should not be identifiable. Graphics downloaded from web pages is not acceptable. 12. The similar data should not be presented in tables, figures and text, simultaneously. The maximum number of figures and tables in the papers submitted to This journal are 7 and 4, respectively. Further figures and tables should be submitted as Supplementary materials. Arrange references as a simple list at the end of your manuscript based on our EndNote which is downloadable through Cjmb EndNote Style. In reference list: List the surnames and initials of first names of all authors if there are 6 or fewer; otherwise list the first 3 and add ‘et al.’ Use one space only between words up to the year and then no spaces. Homans GC. Social behavior: Its elementary forms. New York: Routledge & Kegan Paul; 1961. Logan K. ‘Casi Como Doctor’: pharmacists and their clients in a Mexican urban context. In: van der Geest S, Whyte SR, eds. The Context of Medicines in Developing Countries: Studies in Pharmaceutical Anthropology. Dordrecht: Springer; 1988:107-129. Type of articles are based on PubMed central definitions. For more info please refer to: http://dtd.nlm.nih.gov/publishing/tag-library/3.0/n-w2d0.html . Letters referring to a recent article in this journal must be received within three months of its publication. Letters submitted after the allowed time will not be considered. The text, not including references, must not exceed 700 words. A maximum of three authors and 10 references are allowed. Neither tables nor figures are allowed. Original research that is of interest but does not fulfill all the requirements needed for publication as a full-length manuscript can be submitted as a letter to the editor. The letter must have a title and a maximum of three authors. The text, not including references, tables, figures or legends must not exceed 700 words. No more than 10 references and either one table or one figure are allowed. Word Count Limit: Letters should contain 500 - 700 words, maximum number of references is 10, maximum Number of illustrations/Tables is 1. The content of the paper must justify its length. For reports of original investigative work, traditional division into sections is required: Title, Keywords, Addresses and which author address for correspondence, Structured abstract, Background, Objectives, Materials/Patients and Methods, Results, Discussion, References and Acknowledgements, Legends for display items (Figures and Tables). Maximum number of references is 55, maximum Number of illustrations/tables is 5. 1) Context: Include 1 or 2 sentences describing the clinical question or issue and its importance in clinical practice or public health. 2) Evidence Acquisition: Describe the data sources used, including the search strategies, years searched, and other sources of material, such as subsequent reference searches of retrieved articles. Explain the methods used for quality assessment and the inclusion of identified articles. 3) Results: Address the major findings of the review of the clinical issue or topic in an evidence-based, objective, and balanced fashion, emphasizing the highest-quality evidence available. 4) Conclusions: Clearly state the conclusions to answer the questions posed if applicable, basing the conclusions on available evidence, and emphasize how clinicians should apply current knowledge. A case report is a case study, case report, or other description of a case that should contain 1500 - 2000 words with a structured abstract of 200 words maximum. Case reports should comprise sections of Introduction, Case Presentation, and Conclusions in Abstract and Introduction, Case Presentation, and Discussion in full text with not more than 2 tables or figures and up to 20 references. Brief Reports should contain 1000 - 2000 words with a structured abstract of 200 words maximum. Short reports should comprise sections of Background, Objectives, Materials & Methods, Results and Discussion with not more than 2 tables or figures and up to 20 references. Short Communication, follow the instructions for original articles, except that the total word number of the main text (excluding references, tables and figure legends) is limited to 2000 with no more than 2 figures and/or tables and no more than 15 references. An abstract, not exceeding 150 words, should be presented at the beginning of the article. Authors may submit video and other files to enhance their case reports (Video files should be supplied as .avi, .wmv, .mp4). You may also submit supplementary material to support the submission and review of your article, e.g., papers in press elsewhere, published articles, raw data. When submitting video files, ensure you upload them using the File Designation “Video Files”. Please record Voice and Words of your Video in English presentation only. The submitted file should has high quality for presentation. Manuscripts must be written in English (use consistently either British or American spelling) and must be submitted online. To submit, go to http://http://cjmb.org/submit/login . Full instructions for submission are detailed on this website. 1. Peer review process: All submissions will be reviewed anonymously by at least three independent referees. All manuscripts will be acknowledged upon presenting to the Journal office, provided that all stated requirements are met. Authors are encouraged to suggest names of three expert reviewers, but selection remains a prerogative of the Editor. The whole review process depends on receiving referees’ comments and revising the manuscripts based on these comments to the author. On receipt of the revised article from the author, and after final approving by referees, the letter of acceptance is issued to the author. Authors have the right to communicate to the editor if they do not wish their manuscript to be reviewed by a particular reviewer because of potential conflicts of interest. No article is rejected unless negative comments are received from at least two reviewers. 2. Conflicts of interest: Authors should disclose, at the time of submission, information on financial conflicts of interest or other interests that may influence the manuscript. Authors should declare sources of funding for the work undertaken. 3. The Journal’s Policy on Plagiarism: All submitted articles will be evaluated by iThenticate software, which is a plagiarism detector software powered by Crossref. Any practice of plagiarism will not be tolerated by the journal regarding submitted manuscripts. If plagiarism is reported, we will follow COPE guidelines. 4. Ethical approval: All submitted articles involving human experiments should be performed only in accordance with the ethical standards provided by the responsible committee of the institution and in accordance with the Declaration of Helsinki (as revised in Edinburgh 2000), available at http://www.wma.net/en/30publications/ 10policies/b3/index.html . Papers describing animal experiments can be accepted for publication only if the experiment conforms the National Institute of Health Guide ( Guide for the care and use of laboratory animals, 8th edition, 2011 ) and/or ( International Guiding Principles for Biomedical Research Involving Animals, 2012 ) is required for all experimental and clinical and drug trial studies. Authors must provide a full description of their anesthetics and surgical procedures. All manuscripts reporting the results of experimental investigations involving human subjects should include a statement confirming the informed consent was obtained from each subject or subject’s guardian. All animal or human studies should be used after approval of the experimental protocol by a local ethics committee. 6.This journal is licensed under a Creative Commons Attribution License . 7. Once a manuscript is accepted for publication it will be provided with a registered DOI number following the acceptance decision. 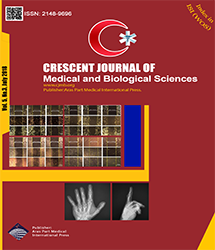 Manuscripts accepted for publication by the CJMB will be published as ahead of print articles prior to the printing date of their scheduled issue. Corresponding author will be provided with a PDF Proof by the publisher once the production process of an accepted manuscript is over. Open access publishing is not without cost. Crescent Journal of Medical and Biological Sciences defrays these costs through article-processing charges because it does not have subscription charges for its research content. This journal instead believes that immediate, worldwide, barrier-free, open access to the full text of research articles is in the best interests of the scientific community. Checking article by iThenticate software. Our journal does not charge any article at the time of submission, but once the article was accepted after peer review process, a non-refundable charge of (500 USD) must be paid for each accepted manuscript by the author(s) via PayPal method. An invoice will be sent for each accepted manuscript to the correspondence author. Note: all editorials and letter-to-editors are exempt from publication fee. Moreover, the papers around novel subjects, as well as papers chosen by the editorial board as the most attractive papers will be published at free of charges. Please write your text in good English (American or British usage is accepted, but not a mixture of these). Authors will be directed to editing service of the journal or publisher to eliminate possible grammatical or spelling errors and. The authors will cover the fee (150 USD) to this service.